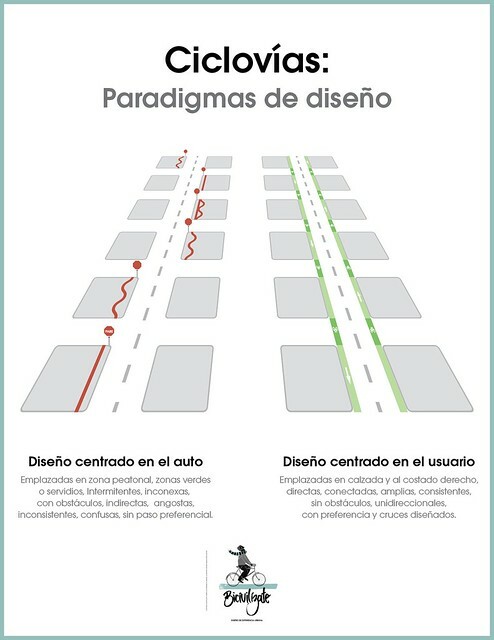 Great graphic from our friends in Chile at Ciclismo Urbano. Car-centric design at the left. User-centric design on the right.